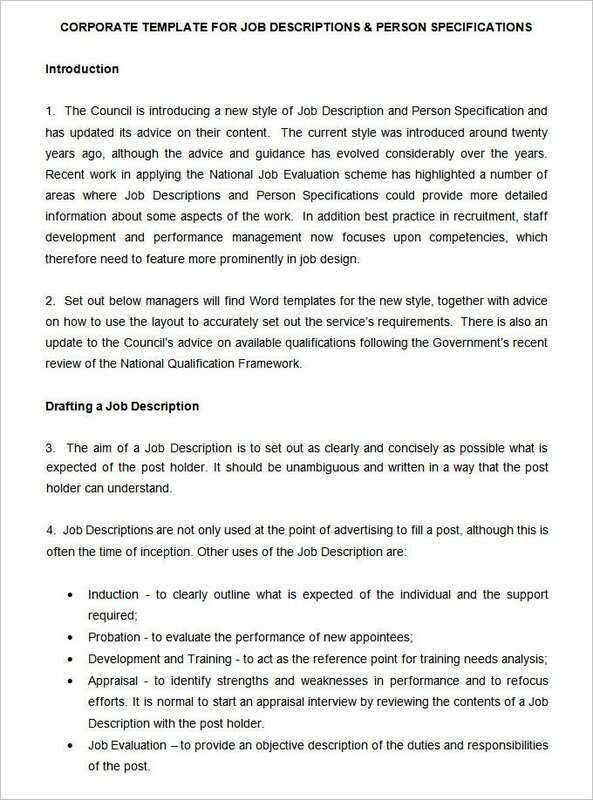 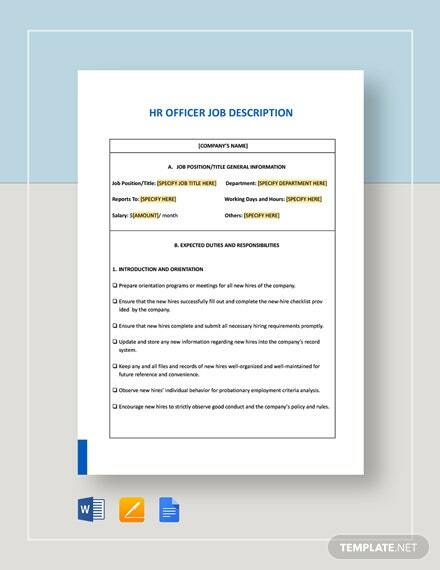 Job Descriptions are a vital field of interest for the HR department as they ensure that the company recruits only the best and most qualified people for their respective jobs/fields. 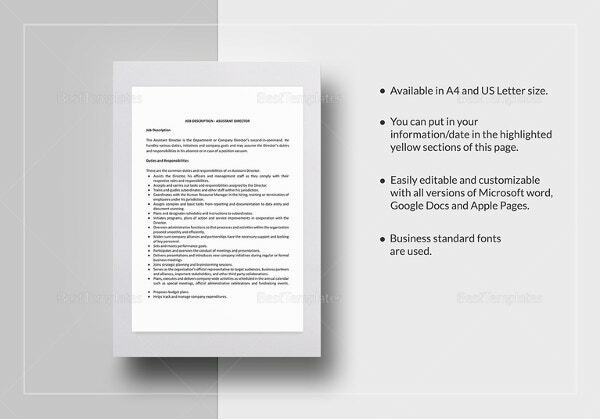 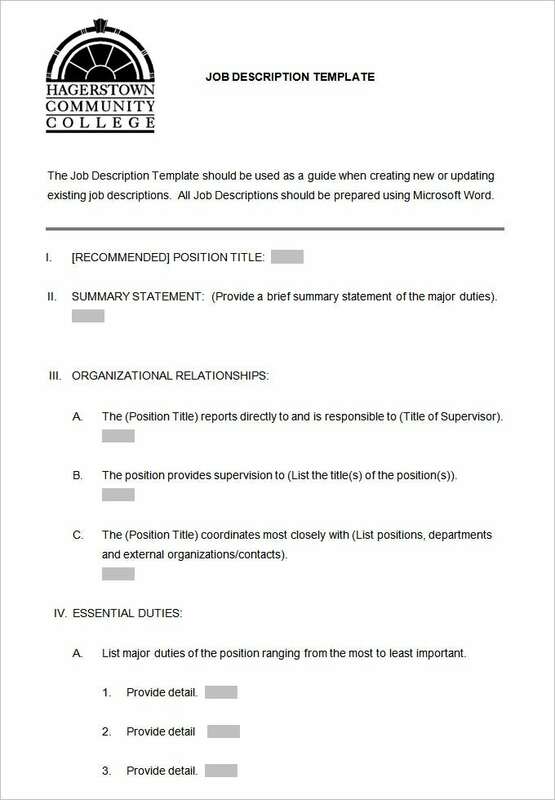 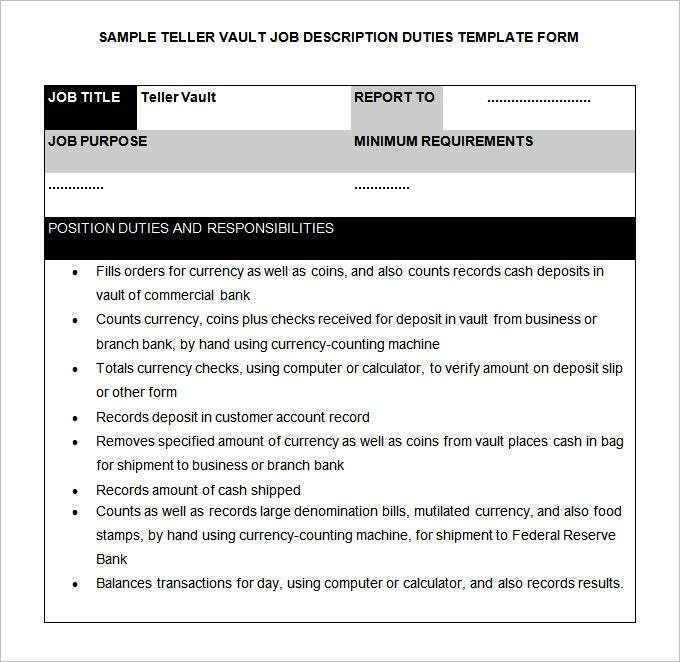 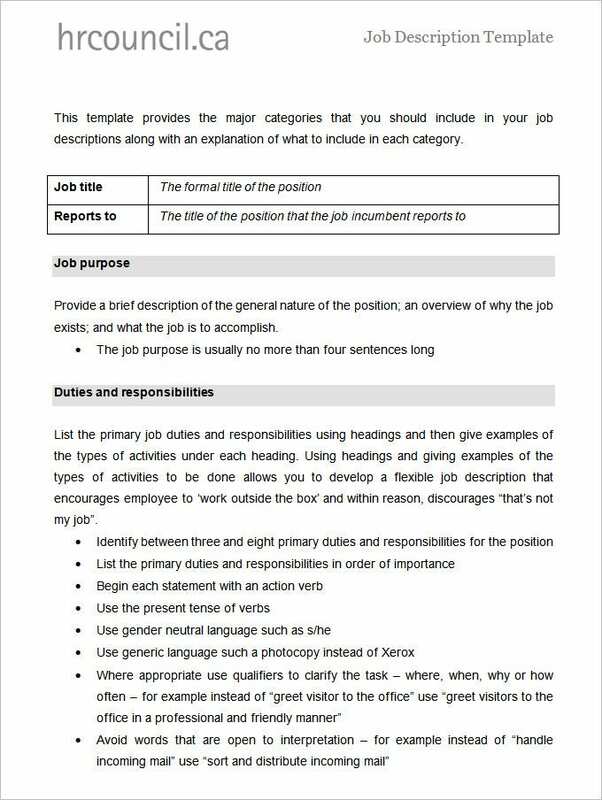 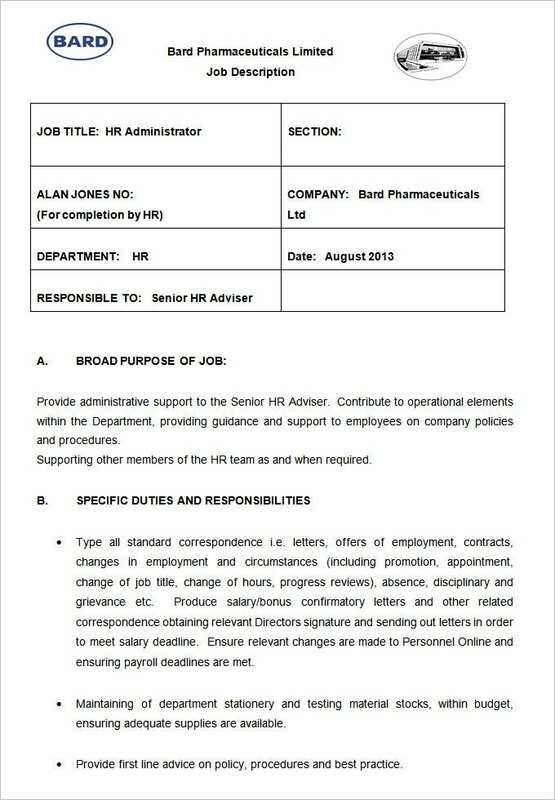 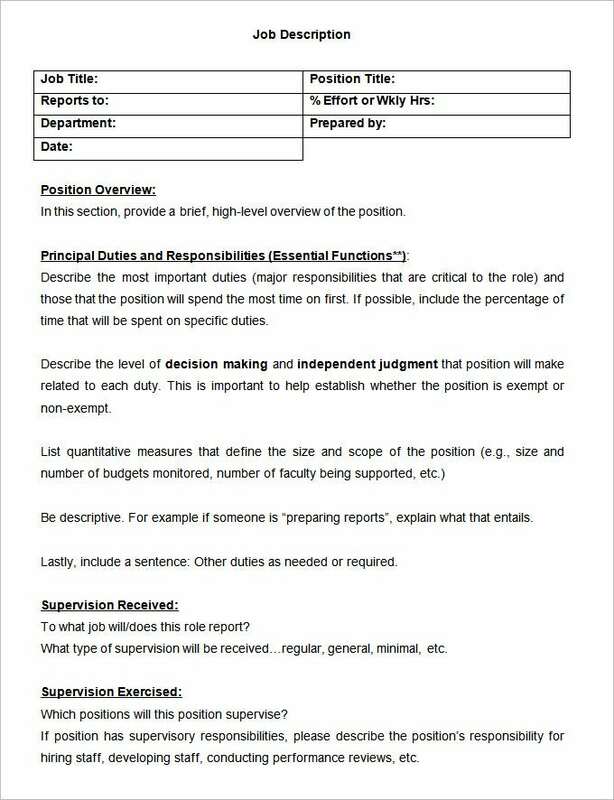 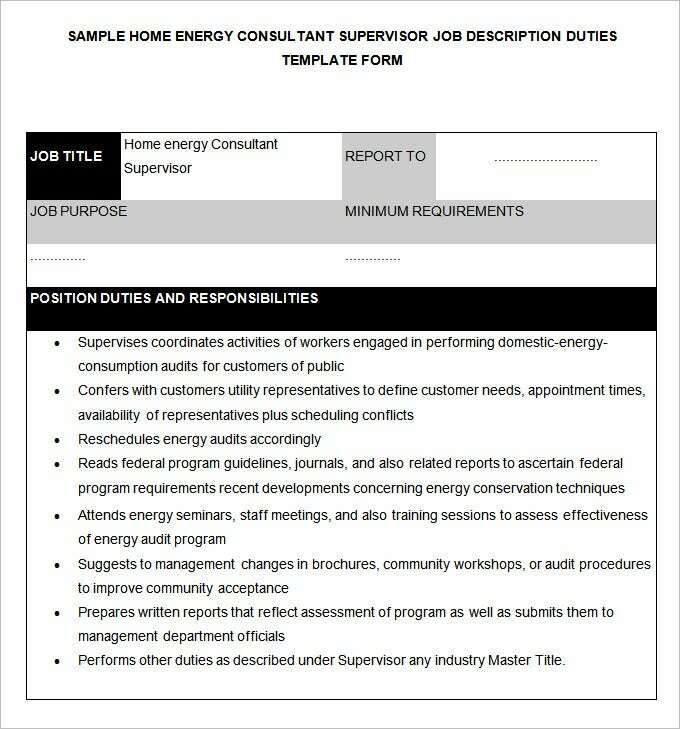 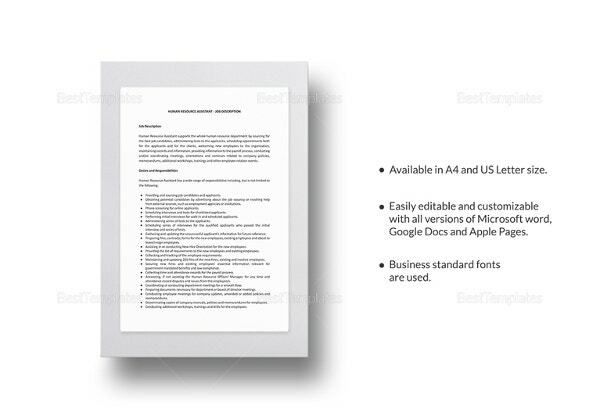 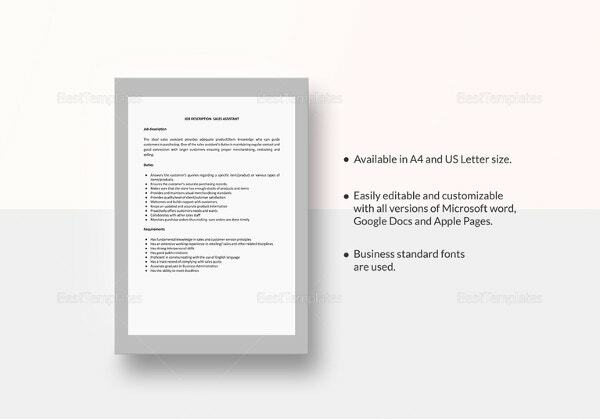 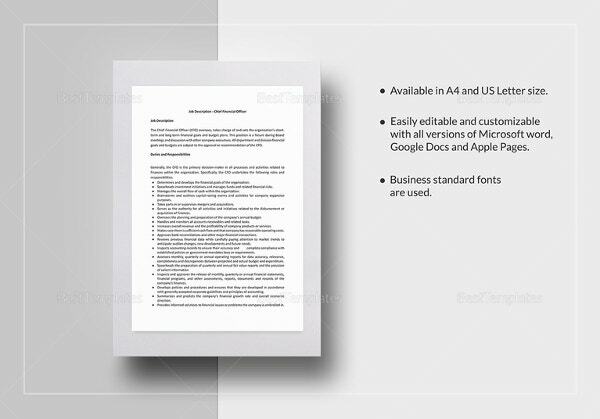 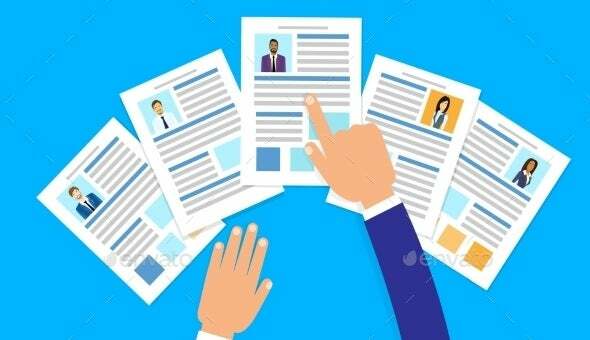 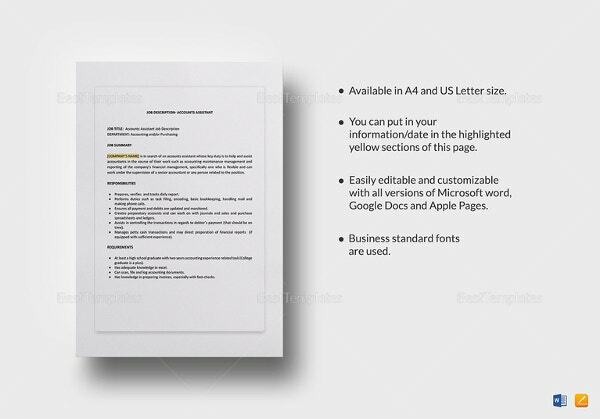 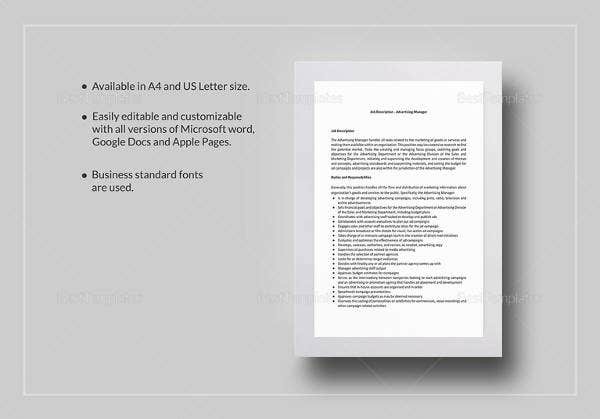 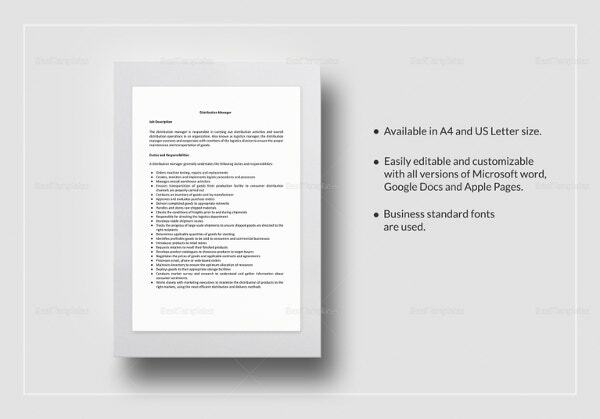 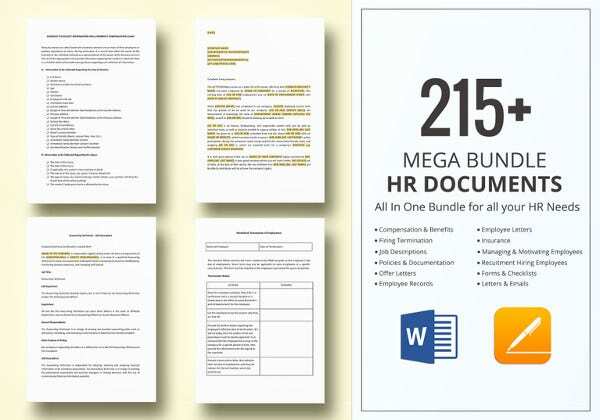 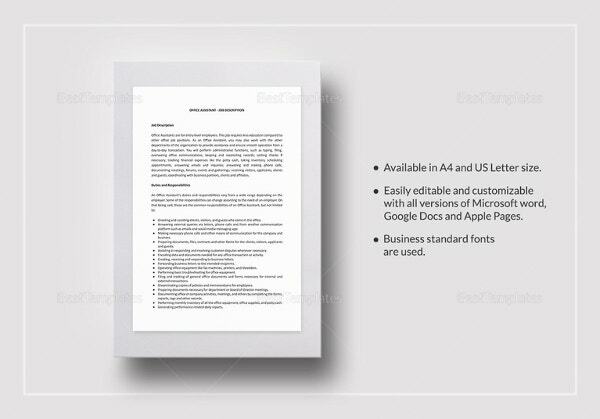 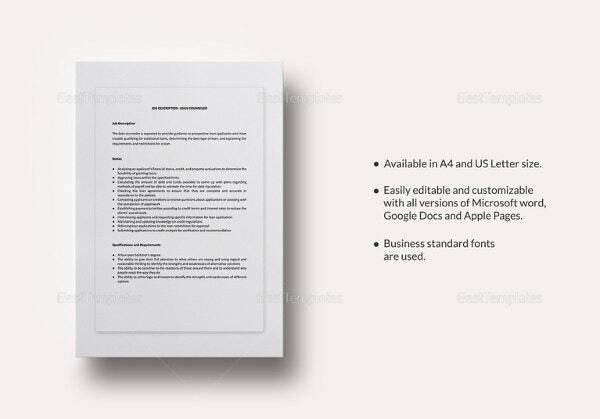 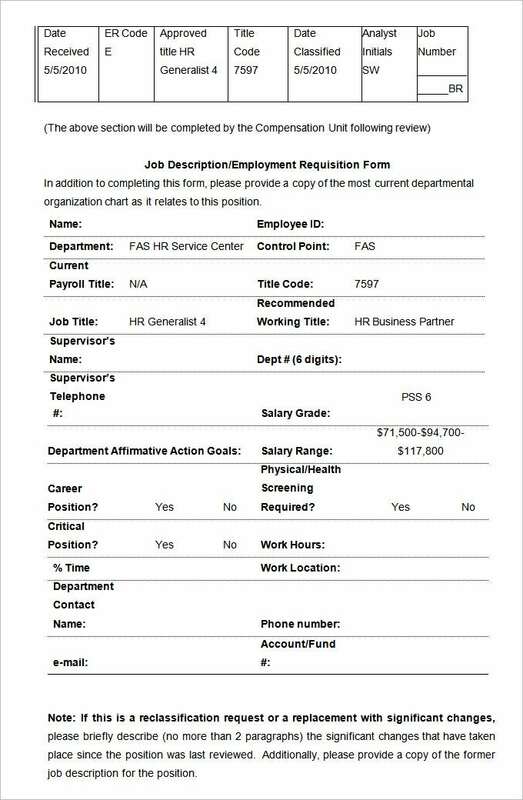 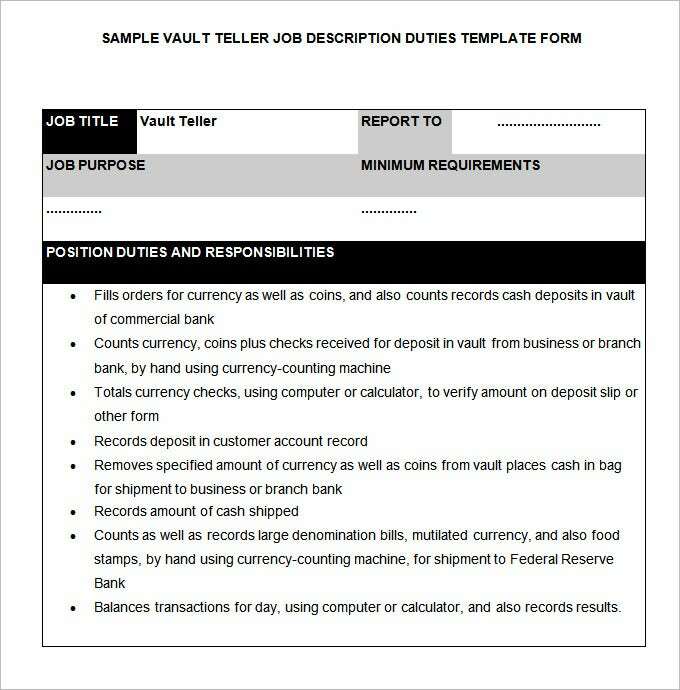 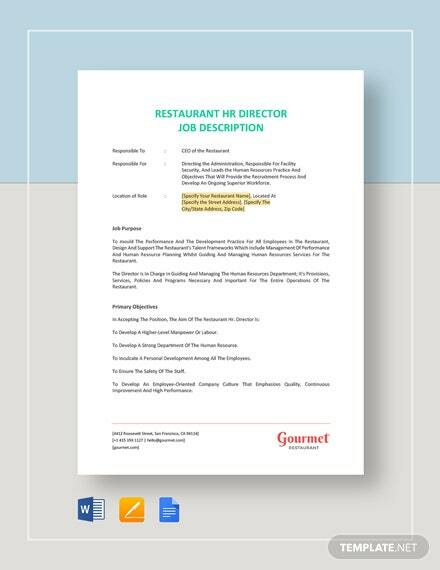 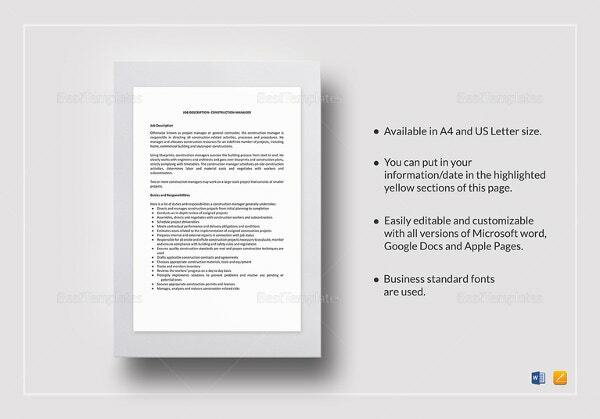 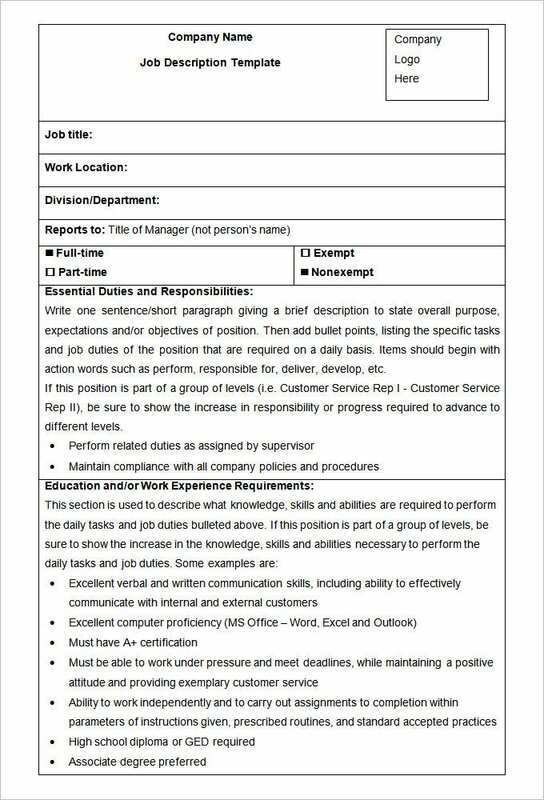 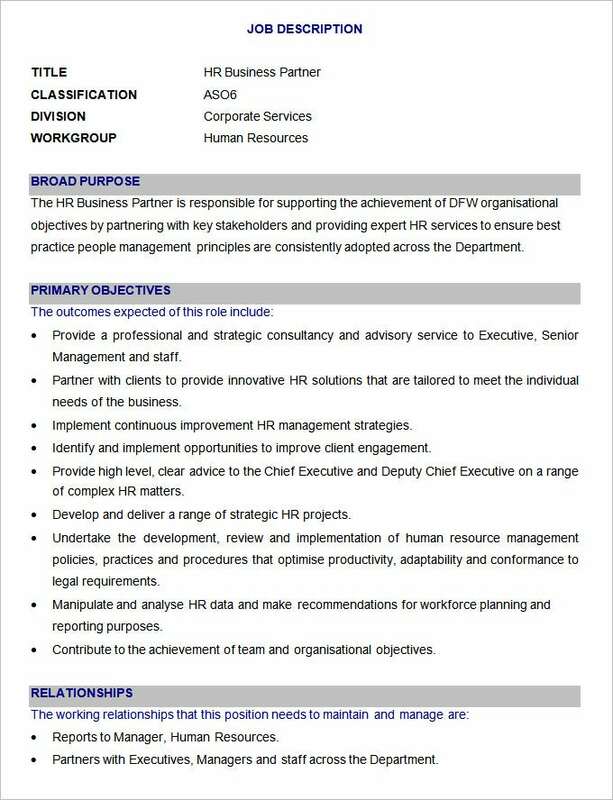 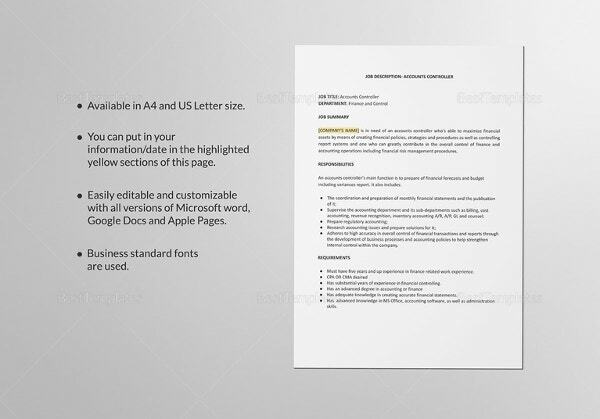 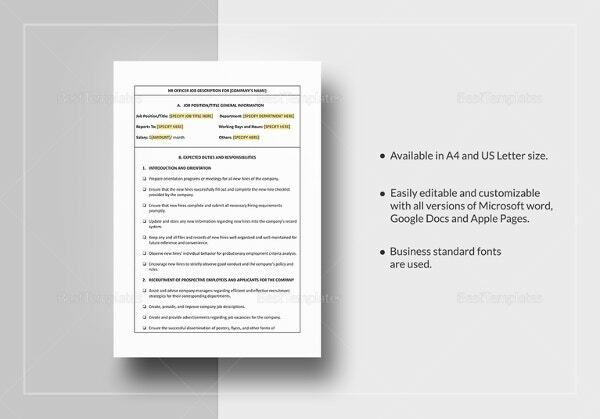 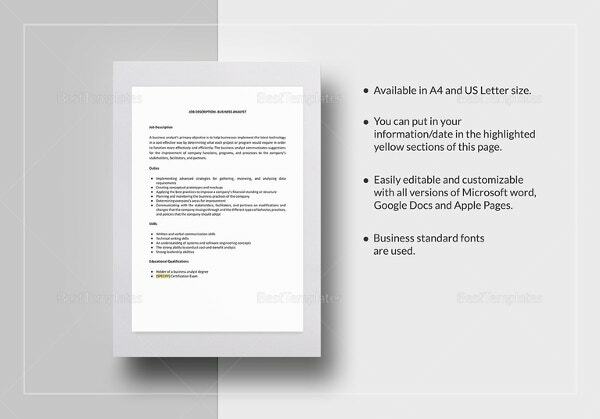 HR Job Description templates, like other HR Templates and forms. 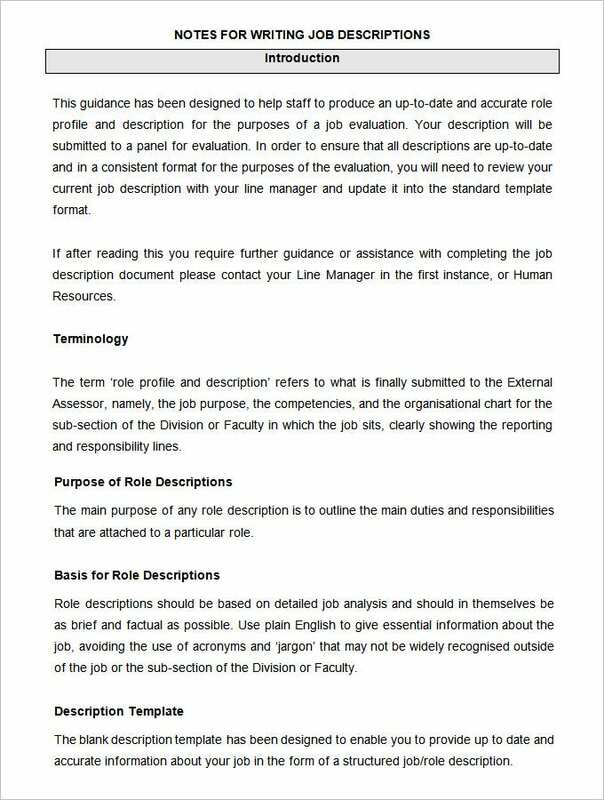 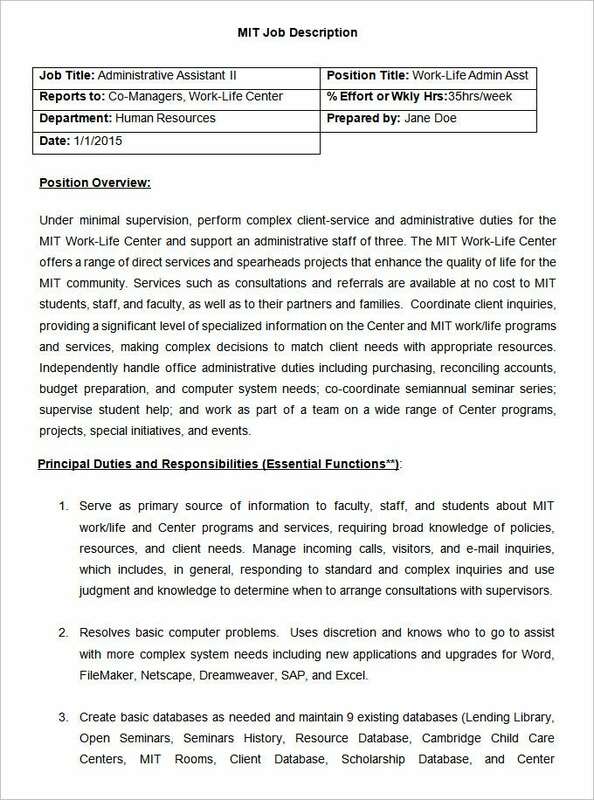 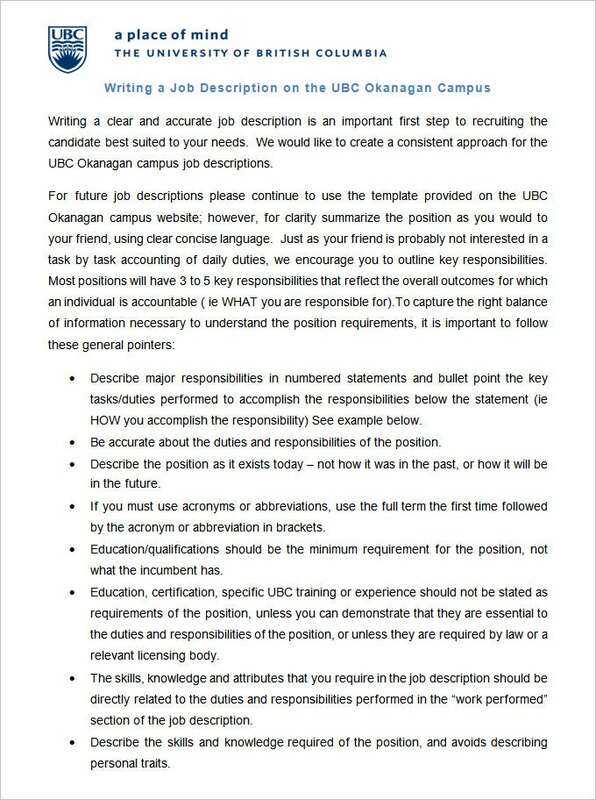 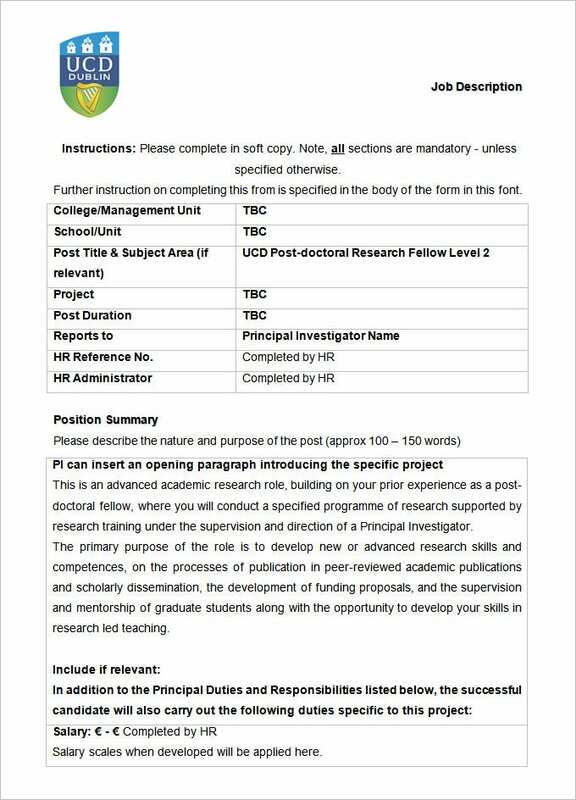 Are available for download online for free or at a cost and allow you to easily create the ideal job descriptions or job profiles for all fields within the department, providing all the necessary info that a potential applicant might be looking for.We have collected some Sample HR Job Description Templates, hope these templates will help you. 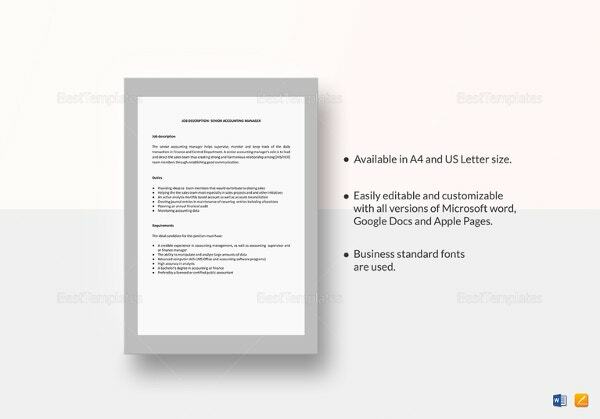 These templates are fully and easily customisable should you require in-depth customisation without having to worry about creating descriptions from scratch. 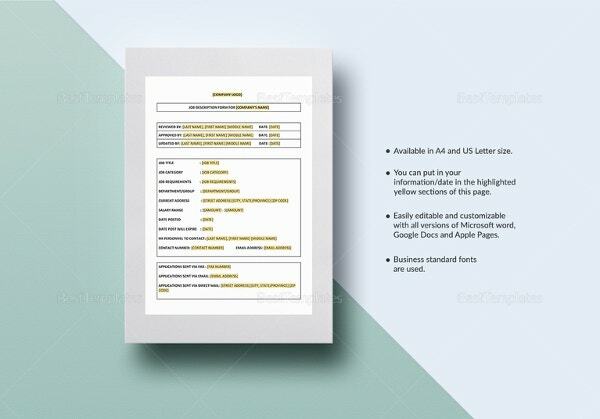 Thus you can match them exactly to the specifications required by your company while making them easy for potential applicants to understand. 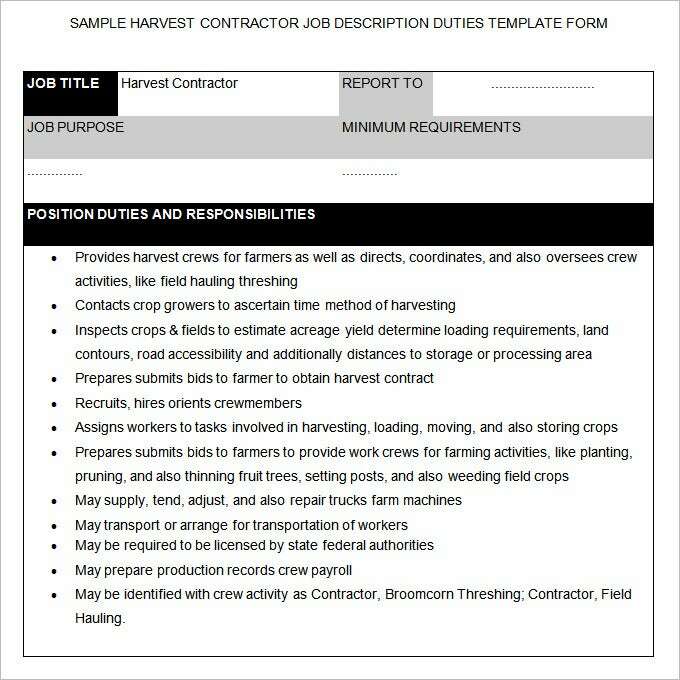 You can easily modify and fill-in all the fields that an applicant might want to know about, including qualifications, experience, payment structures, general descriptions of the work involved, and more. 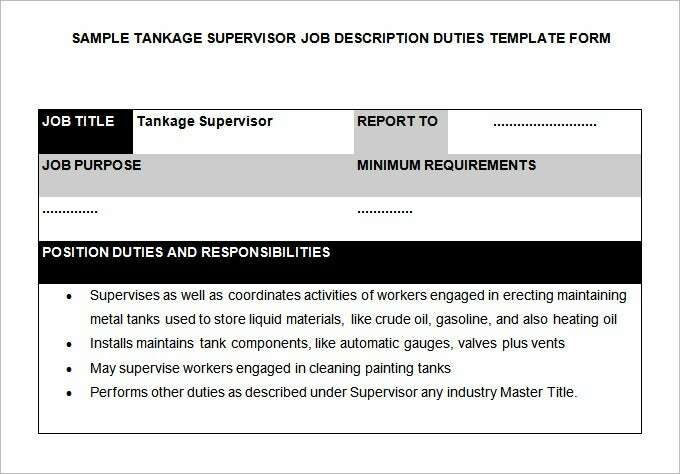 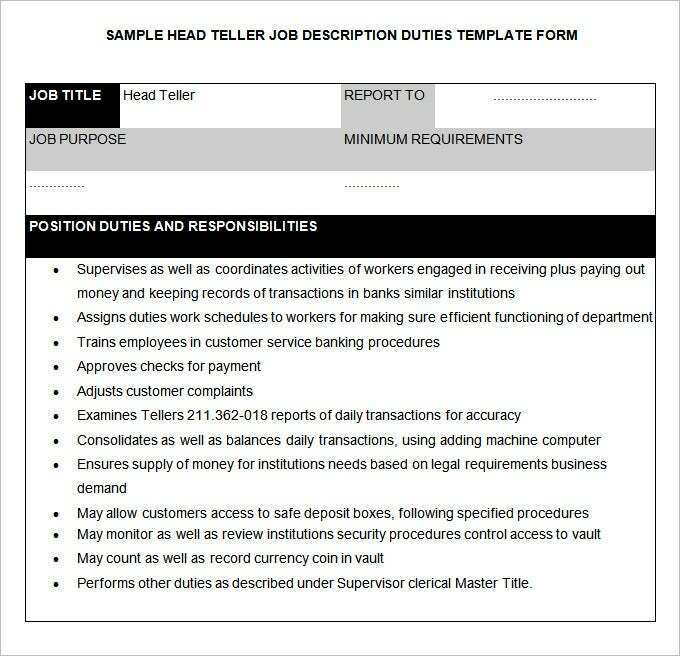 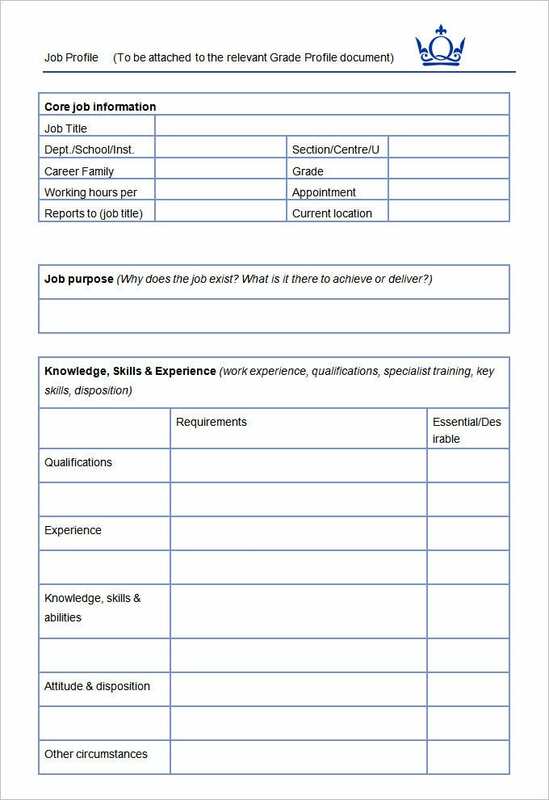 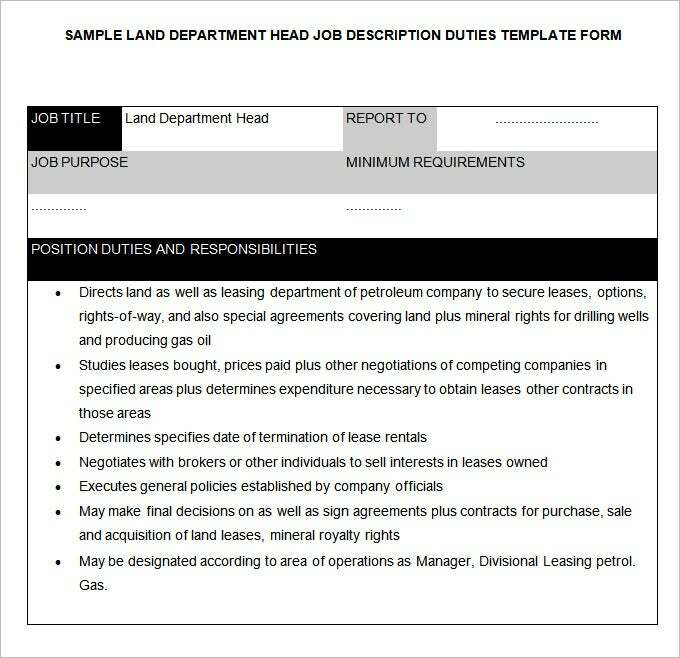 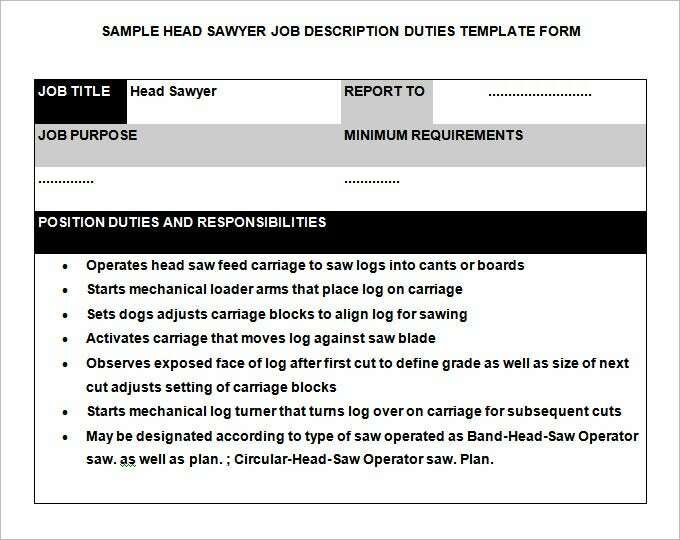 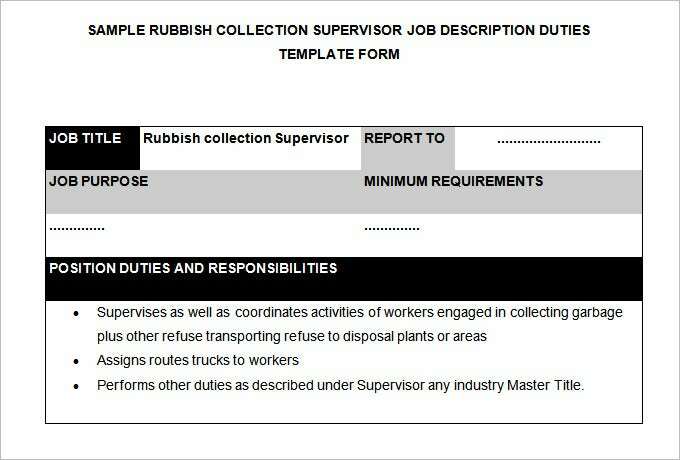 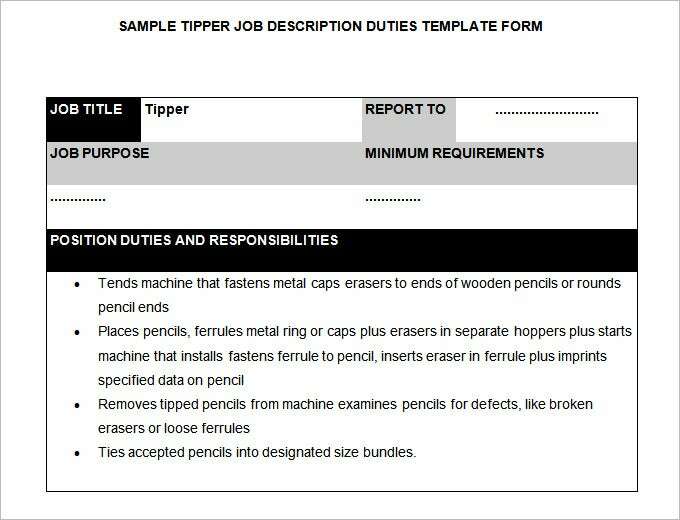 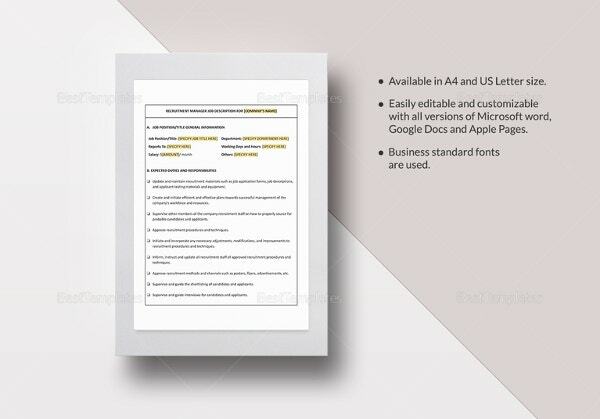 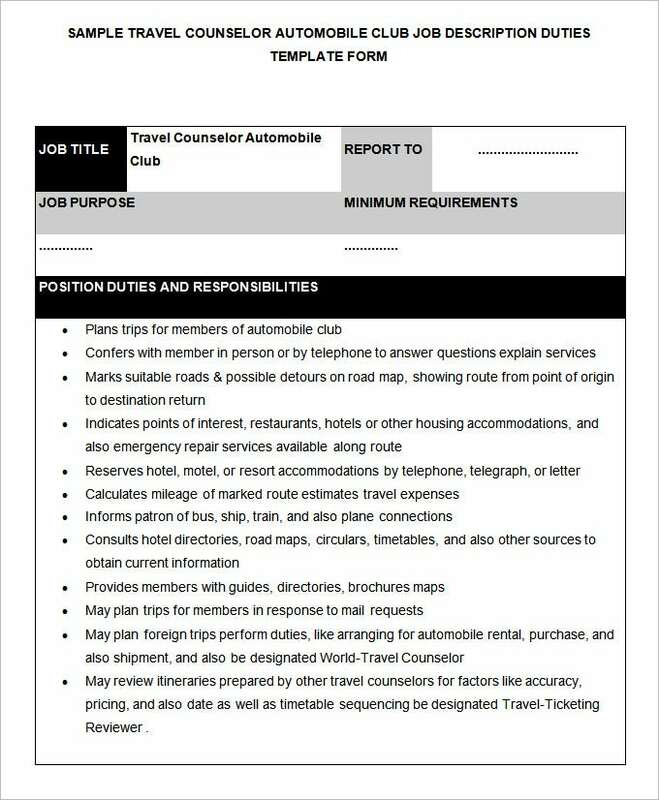 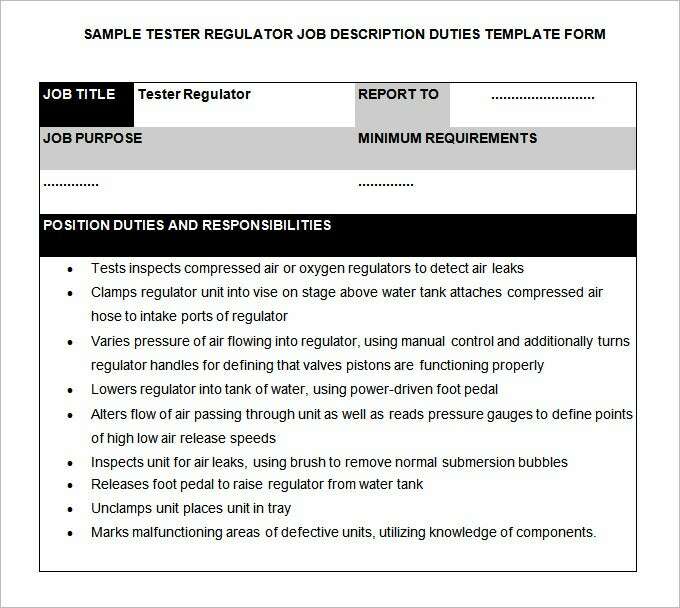 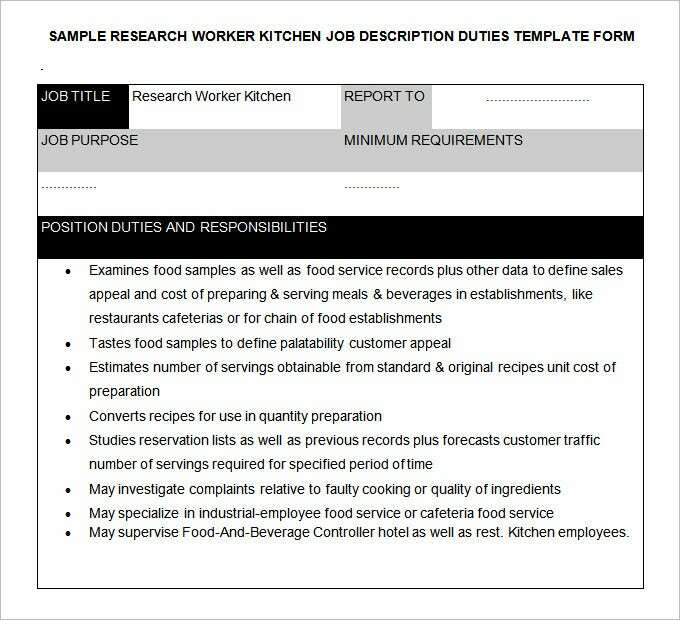 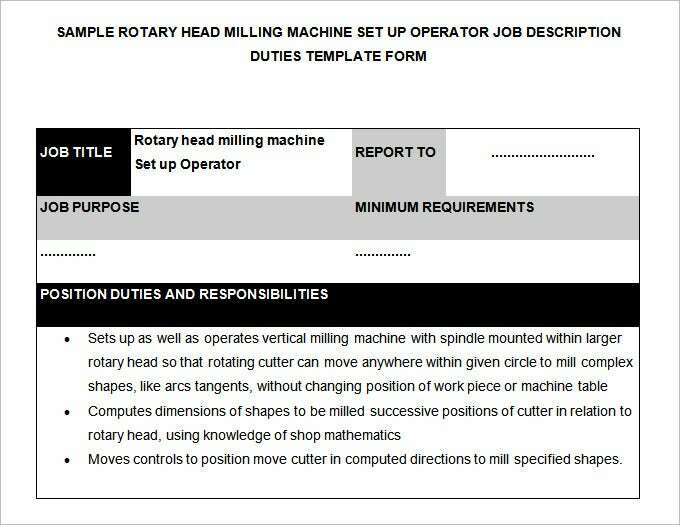 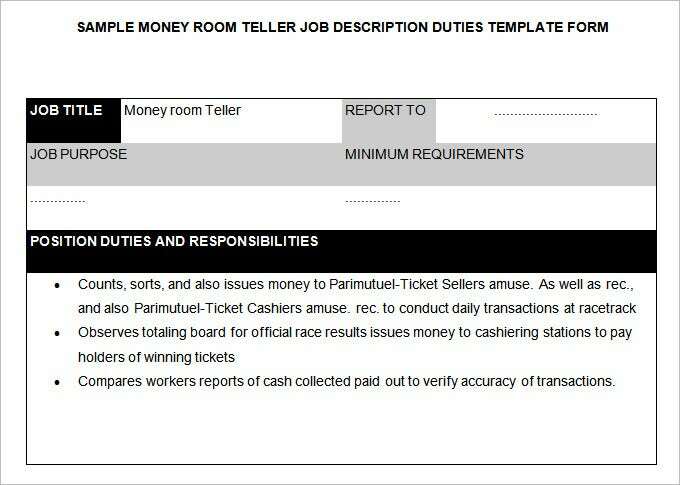 You can use these templates to go in-depth, providing thorough job analyses and descriptions and delineating all relevant responsibilities, duties, legal necessities, training and orientation regimens, working conditions, pressures, Human Resource Policies, etc. 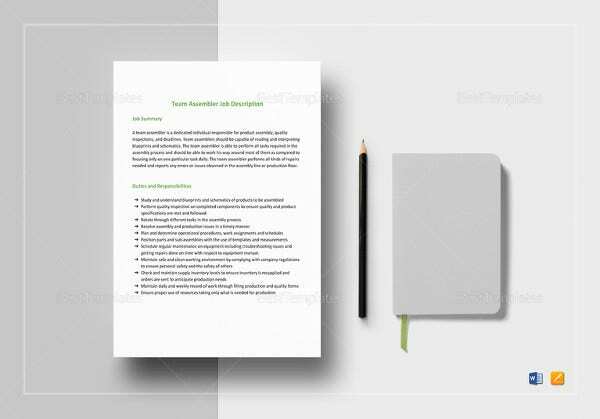 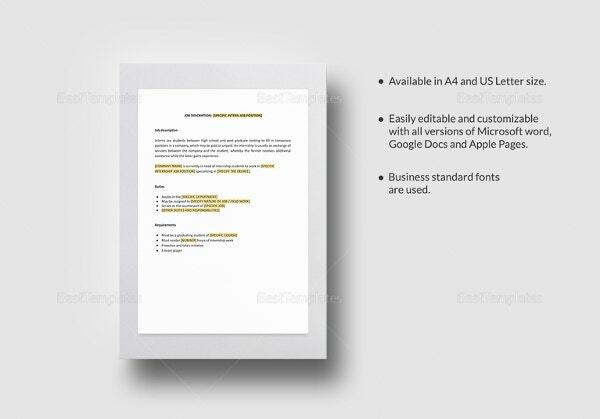 Last but not the least, you can easily modify the appearance of these templates to reflect your company’s branding, logos and design aesthetic.